Change comes in many forms. New Africa Developments’ construction of an A-grade, 35,000m2 regional mall in Dwarsloop (north-east Mpumalanga) will see 33,000* households comprising more than 100,000 people from the Dwarsloop community live closer to a contemporary shopping destination than ever before. With the first phase of some 25,000m2 scheduled to open in October of this year, a radical change to the region’s shopping patterns is imminent. Situated on the arterial R40 between Hazyview and Hoedspruit at the major Thulamahashe intersection, this green fields development is very prominent and has good access for the approximately 400,000* residents of Acornhoek, Dwarsloop and Bushbuckridge, in addition to a large percentage of Thulamahashe locals. 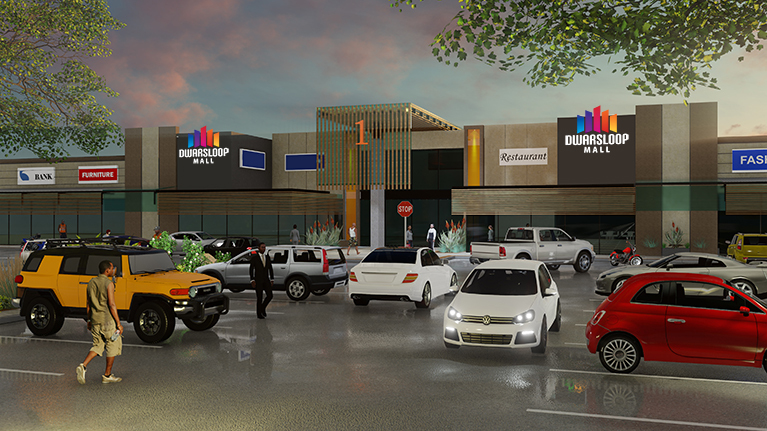 Dwarsloop Mall will boast more than 50 stores, anchored by Shoprite & Spar together with a selection of national fashion retailers and restaurants. Committed tenants include Mr Price, Markham, Total Sports, Ackermans, Clicks, Sportscene, Roman’s Pizza, Debonairs, Exact, Cross Trainer and many more. 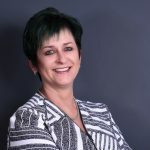 The much anticipated R40 ring-road has been budgeted for by the local government in the coming financial year, and by effectively bypassing Bushbuckridge will greatly reduce the notorious Bushbuckridge traffic congestion and stimulate tourism in the Lowveld. This will ensure Dwarsloop as the main thoroughfare between Hazyview and Acornhoek, further increasing visibility and shopper convenience. Other major investments are planned in and around Dwarsloop, making it the key development node in the region. The 560-bed Mabuleng provincial hospital and a brand-new SAB distribution facility, are just some of the major projects close to the mall, and are both already under construction. Building anticipation in the community, the developer launched a logo competition in which locals took part in the excitement of the new development by choosing the mall’s eventual logo from four pre-developed brand marks. The winning logo has been announced and a full-scale launch program will soon commence. Progress updates are available on the mall’s website ( www.dwarsloopmall.co.za ) and Facebook page, with aerial drone video footage, images, and newsworthy items published regularly.